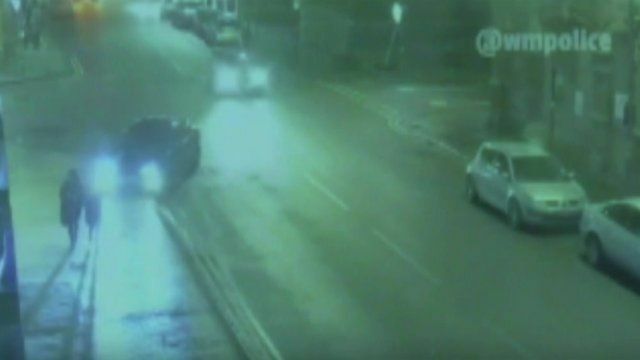 CCTV footage has been released of the moment a teenage girl was seriously injured when she was hit by a car while walking along a pavement. The 17-year-old, who was walking with her mother following a shopping trip, suffered serious neck and head injuries on Bromsgrove Street Birmingham. West Midlands Police said it wanted to trace a dark-coloured BMW 5 Series following the incident at about 18:30 GMT on 28 January.